Current road lighting solutions are well behind modern technological possibilities. Meltron has a new approach to road- and street lighting with the MRSLS, a system that uses advanced optics and LED solid-state lighting to the improve efficiency and safety on the world’s roads. Optics accuracy, efficiency and control with our solutions in the MRSLS leads to increased lighting quality, which again improves visibility and safety. The Meltron Road & Street Lighting System provides ultimate safety for commuters and pedestrians on roadways. 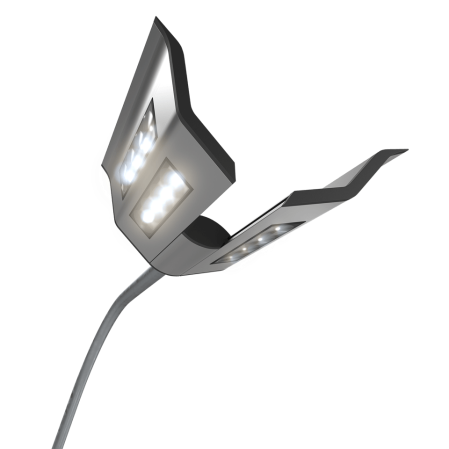 Strong, lightweight design, with advanced optics provide bright, uniform, and efficient lighting with fewer units, only 16 high-power LEDs in total, and the ability to adapt to changing weather conditions. The MRSLS is optimized and integrated solution based on ground-up thinking, literally. We started with the viewpoint of the driver and calculated the optimal light distribution for maximum visibility and road lighting performance. Meltron’s approach and advanced optics also allow for fewer lights to evenly cover the same lengths of road.